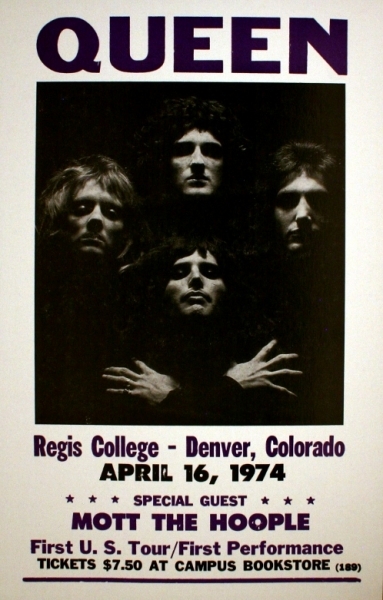 On this day marks the 40th anniversary of the legendary Rock band Queen’s first U.S concert. The band traveled overseas to be the opening act for Mott The Hoople in 1974 at Regis College in Denver, Colorado. Queen, running high off the success of their self titled debut album just released their second studio album “Queen II” only 3 days prior to the tours opening show at Regis College. With determination to make a strong name for themselves in The United States with their heavy Rock tones and lavish look that only Queen could pull off, they left the crowd stunned over the heaviness and power of the band. 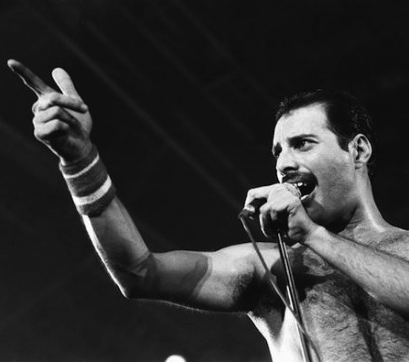 Posted in Artists, Classic Rock, Educational, News, Queen and tagged 1974, april 16, Freddy Mercury, on this day, queen, the 70s.